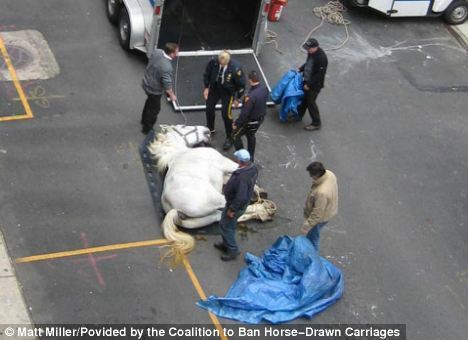 Check out the website for the Coalition to Ban Horse-drawn Carriages in New York City here. On October 23, 2011, Charlie collapsed and died while pulling his owner's carriage through the streets of New York City. This article provides more details about what happened to Charlie.